This past week marked one of the darkest days in the history of America. And while this site is full of fun remembrances of old shows, they really don’t mean all that much compared to the sacrifices of those innocents in the events of 9/11. While I would never want to lessen the impact of that day, this is a blog about television shows, specifically those which didn’t last all that long… and for one particular show, that length was directly affected by what happened on that fateful day, and what came thereafter. 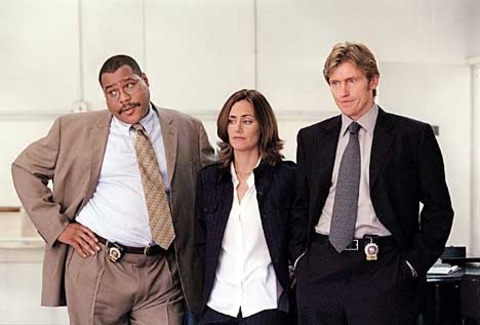 Just months prior to that day, in the spring of 2001, ABC premiered a gritty comedy called The Job. 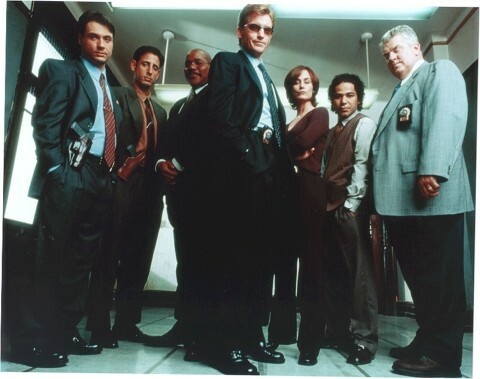 It profiled the events of New York’s 21st precinct, a rowdy collection of cops led by Mike McNeil (Denis Leary). Abusive, abrasive, and just plain angry at times, he was still a great detective despite his constant popping of painkillers and flouting of authority. His partner, Terrance “Pip” Phillips (Bill Nunn) was a world-weary husband and father who just wanted to get through each day without being shot at, yelled at, or even really noticed all that much… of course, as a cop, that wasn’t going to happen. Their trials and tribulations facing the crooks (and sometimes the not-so-crooked) led to the oddball interactions of the series. Others on the force faced similar obstructions to getting through a day. Partners Frank Harrigan (Lenny Clarke) and Tommy Manetti (Adam Ferrara) dealt with such strangeness as a dead body dumped repeatedly in their jurisdiction (and their efforts to “throw it back”, so to speak); and helping Mike coerce a probable law-breaker into a confession by faking an attack… against his grandmother. Younger cops Ruben Somamba (John Ortiz) and Al Rodriguez (Julian Acosta) are just trying to figure out how things work in this bizarro-world, as two rookies trying to follow rules in a precinct full of rule-breakers. While their ethnicity gives them an advantage in some neighborhoods of New York, their presence as unseasoned detectives brings them some derision from their comrades. The only female of this group is Jan Fendrich (Diane Farr), who rides herd on many of these out-of-control children-as-adults, and develops a true caring relationship with Mike… if only Mike wasn’t far too self-absorbed to see it. Somebody cares about him, even if he doesn’t. She knows all about his wife, his girlfriend, and his destructive habits… but sees something else good, something well beyond all those things, as do we. She knows him better than he knows himself. The one supposedly in charge, Lt. Tom Williams (Keith David), is far too busy keeping the heat off all his people from above to be really concerned about the details… as long as they keep being good cops. But during a foot chase, Mike is unable to keep up with a suspect. Although he fakes “pulling a hamstring”, the real reason is the way he’s treating himself… and others are noticing. Mike is almost prototypical in his self-destructiveness. He’s successful in his work on the force, but he certainly doesn’t act like the other cops, either real or on television. And even though he professes a semblance of normalcy, his life is anything but. While he’s not the most focused person in the world, as you can tell by the title of the show it’s The Job as police detective that keeps him going. And that’s why we root for him, despite his being compared to Satan at one point… by his own police captain. Some try to get him to confront these issues, but Mike wouldn’t be Mike without his aberrant behaviors… and yet, that doesn’t stop us, or them, from hoping he might find a way to become as great as some might believe him to be… despite his mistakes along the way. The Job was a summer substitute for ABC’s N.Y.P.D. Blue, filmed on location in New York City. It was given a 6-episode tryout in the spring of 2001, and a renewal for the fall. 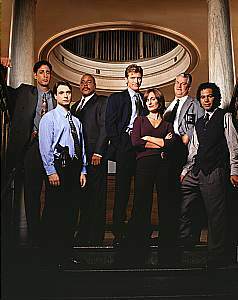 It was supposed to premiere that season in September, but then the events of 9/11 occurred, and the absurdist tone of the series, and its setting and filming in New York, made the network more than worried. The series was delayed until January and then returned to the airwaves, but in the new environment encompassing America, it really didn’t work, and The Job was cancelled after its initial renewal order was fully run. However, the events of 9/11 affected the cast and crew tremendously. They were filming on location nearby when the Towers were hit and, like so many others in the city (and across the country), the emotional impact was profound. In the months after 9/11, it was simply too soon for a nation shocked by those events to be watching a New York police comedy, especially one with such a gritty and realistic (although absurd) tone as The Job. ABC ended the show, preferring to recast itself as a more “family-friendly” (and safer) network. But both the events of that September day, and Leary’s personal tragedy of losing a fire-fighting cousin and his co-workers in Worcester a few years earlier, led to the creation of Rescue Me. 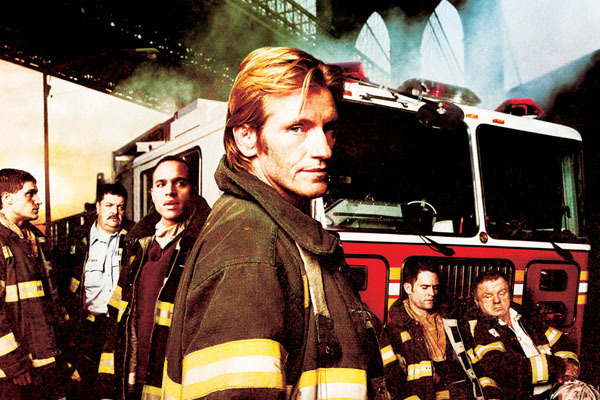 A successful drama with comedy elements, Leary played firefighter Tommy Gavin for seven seasons on the FX cable network, a character just as self-destructive as Mike McNeil. But this time, surrounded by many of the actors and crew he’d worked with on The Job, the accent was on the drama of those affected by the tragedy, and the way they’d been changed by the events of that one fateful day. The concept found a focus bigger than just a person’s own existence. A concentration on filling up the bottomless pit of emotions brought on by the destruction of the World Trade Center, and the loss of friends and family, gave Rescue Me an anchor The Job never had. The show’s concentration on drama with leavening comedy moments was more respectful to those losses than The Job ever could be after those real-life events. Given the looser restrictions of a cable home for the show and an hour-long format (as opposed to the half-hour comedy of The Job), Rescue Me found an audience ready for its drama and its humor, since by then we all were trying to deal with moving on after such a tragedy. Tommy and Rescue Me were just as self-destructive as Mike and The Job, but there was at least a reason we could all understand for those actions, for we had all lived through that day. Rescue Me used some of the same storylines as The Job, just played for a bit more reality and a bit less comedy. It also used many of the same actors and crew. So why does one show succeed and another fail? Placement is one thing (on cable, with more realistic freedom instead of a much more cautious network), and focus is another. But after 9/11, it wasn’t just the show that changed, but the audience did, too. And while immediately during and after that day a decade ago our wounds were too fresh, too raw, too immediate to joke about, we all still need some kind of healing, some kind of method to deal with destruction. Whether it was typified by Mike/Tommy and battling personal demons, or facing the reality of dealing with a world changed in very important ways, the framework was laid down, unknowingly, in The Job, and then more accurately revealed in Rescue Me. Not just for the characters… but for us all. Tragedy in real life cannot be underestimated. As the nation remembered what happened 10 years ago this past week, I am reminded that television did what television does best, ever since then. It brought us the events, as they happened, in all their grief and despair, and then, sometime thereafter, brought us a way to deal with that grief through Tommy Gavin and Rescue Me. Volumes have been written about that series, and its recent farewell. But the germ of the idea, the character that started it all, was Mike McNeil of The Job. From his demise, a way out of the tunnel for the rest of us was created. And although we may never completely heal from what happened, we can find a way through, at least to a place where the world isn’t quite so dark and hopeless. And with a little help, perhaps we can all live again. 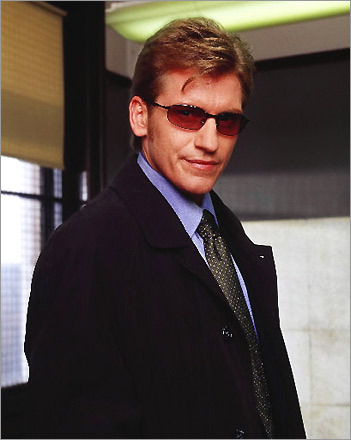 DENIS LEARY (Mike McNeil) is a 4-time Emmy nominee for both writing and directing. His aggressive style of comedy has resulted in multiple books and comedy tours across the country, plus he’s become a spokesperson for the MLB Network, the Ford F-150 pickup truck line, and Hulu’s and DirectTV’s broadcasts. A lifelong hockey fan, he even sang at his hometown Boston’s appearance when the Bruins played outdoors at Fenway Park, in front of thousands at the game and millions watching on television. BILL NUNN (Terrance “Pip” Phillips) got his movie start in the films of Spike Lee, having appeared in Do the Right Thing, School Daze, and others by the acclaimed director. He’s since become known for a variety of roles, including in movies like Regarding Henry and Sister Act, and performed in the movie adaptations of stage hits A Raisin in the Sun and Fences. LENNY CLARKE (Frank Harrigan) is an old comedy friend of Leary’s, who starred in his own series (Lenny) back in 1990. He was a featured player in The John Larroquette Show and appeared on Rescue Me in the role of Uncle Teddy. As outspoken as Leary, he’s gotten into trouble for his political comments, but still remains a staunch supporter of causes and politicians important to him. ADAM FERRARA (Tommy Manetti) is another comedian/actor, with a regular role in Rescue Me in addition to his stand-up routines. He’s currently one of the hosts of the American version of British favorite Top Gear on the History Channel, where his penchant for destroying cars has earned him the nickname of “The Wrecker”. JOHN ORTIZ (Ruben Somamba) had regular roles on television in Lush Life and Clubhouse, but his main emphasis has been on stage work. Based in New York City, he co-founded the LAByrinth Theatre Company, a network of over 100 artists. He will shortly be seen in the HBO series Luck, based on the worlds of horse-racing and gambling. JULIAN ACOSTA (Al Rodriguez) not only partnered with Ortiz above, but also joined Ortiz’s LAByrinth Theatre Company as well. He’s been a recurring character on both Dirt and The Defenders, and done guest shots on Castle, Franklin & Bash, and The Mentalist. DIANE FARR (Jan Fendrich) was a co-host for MTV’s early relationship series Loveline. After The Job, she appeared on Rescue Me for two seasons before becoming a regular on the CBS series Numb3rs. She currently writes a syndicated newspaper column, as well as having written a humorous book on inter-racial marriages called “Kissing Outside the Lines”. KEITH DAVID (Tom Williams) is a favorite of this site, having appeared on The Cape. He’s also been a well-recognized voice actor, as Goliath in Gargoyles, various characters in the video-game franchises Halo and Call of Duty, and as one of the preferred narrators for Ken Burns and his hugely successful documentaries on PBS. The Job was released by Shout Factory as a DVD set in 2005, complete with multiple commentaries and behind-the-scenes features. While there aren’t many websites available, there are numerous mentions made of the series in the context as a precursor to Rescue Me on sites about that show. Leary and the rest of the cast and crew have been very involved in the lives of those who were affected by 9/11, especially the firefighters and other emergency personnel who have given everything and more to protect each and every one of us, both then and now. He (and the rest of the cast) has been involved in the Leary Firefighters Foundation, an organization instrumental in fundraising and improving public awareness of those selfless individuals who do things every day most of us would never find the courage and strength to even attempt. And those firefighters, and other emergency workers, do it for complete strangers, people they’ve never even met, just because it’s their job. And The Job is where all this started. You can’t completely describe what America has gone through, either on that fateful day or in the years since. Words are merely words, and emotions are far to complex to describe accurately. Some people were lost, others were personally devastated, and still others far away have tried to live their lives as if nothing ever really happened. But it did happen, and it affects us still, in ways large and small. We can’t get away from it, we can’t ignore it… all we can do is try to heal. 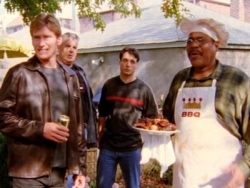 Thanks to the efforts of Denis Leary and others, television has helped in the best way it knows, by dramatizing those struggles for all of us to see, share, and try to understand. Thank you to all those whose creative contributions on The Job, Rescue Me, and in reality, every day, continue to make our lives more livable, despite any pain and suffering experienced in the past. As long as we learn, and learn together… we’ll make it through. Aired at Friday 8/7 Central? The Job was initially scheduled in the adult timeslot of Tuesdays 10/9 Central, an odd time for a comedy but appropriate for its adult tone. The second season aired on Wednesday nights in a more traditional comedy timeslot, but its demise was already likely.